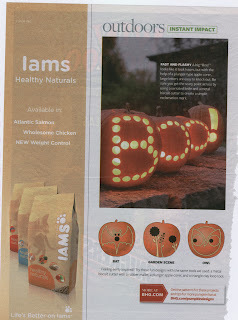 So, here I am thinking I had such a clever idea last year with my pumpkins....until I saw this in a Better Homes and Gardens magazine last night. 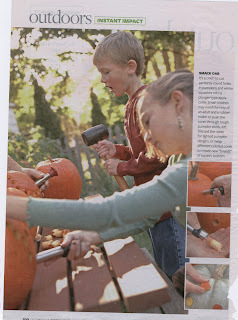 I guess using the apple corer wasn't such an original idea. Oh well. 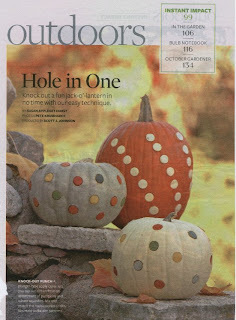 BHG did offer another idea by saving the round cutouts and then placing them in various colored pumpkins and gourds. Very cute!! Oh, and I did actually take a little time last night to do a craft project after Mr. Man was in bed. I'll post pics soon. It felt good to do something crafty again.